Hi everyone, it's Wendy Sue! I'm not at CHA this year (again) but I've been enjoying all of the sneak peeks Ashley has been sharing here on the blog. I cannot wait until these new products hit the shelves so I can buy them and create fun projects! It's impossible to narrow down my favorites to a "top five", so I thought I'd just share five of the lines I'm looking forward to purchasing. 1. I am loving the "Christmas Wishes" line by Bella Blvd. 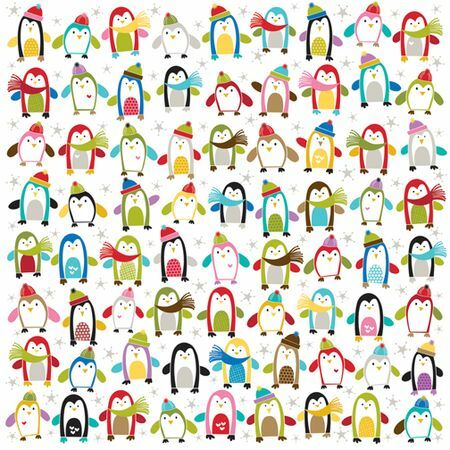 - seriously...how cute are these colorful penguins?!? 2. 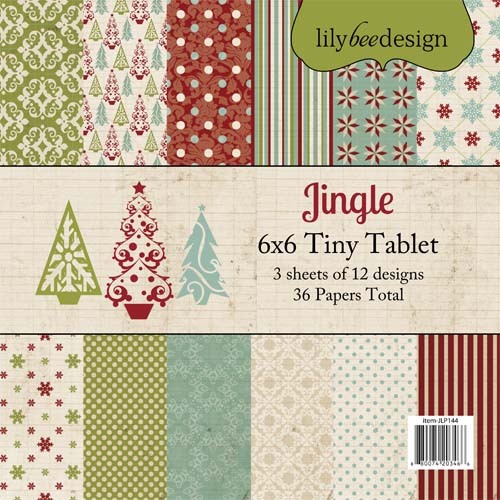 Lilly Bee Designs also has a holiday collection I really like - a totally different look than the Bella line - I can see using this one too! 3. 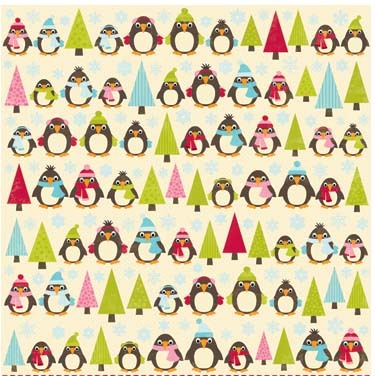 And speaking of Penguins...how cute are these chubby little fellows from Jillibean Soup?!? 4. 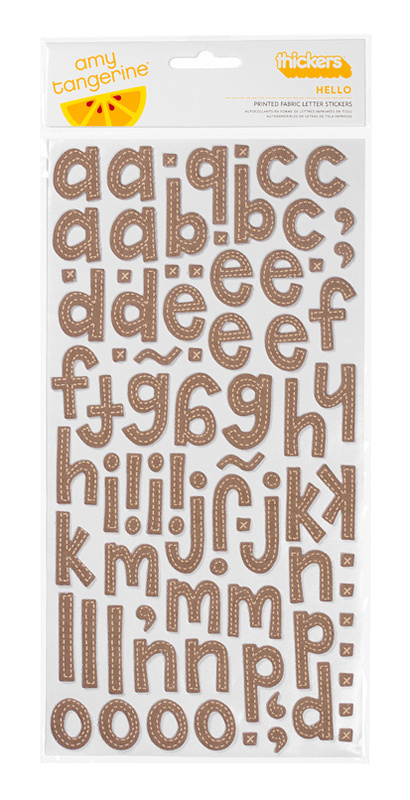 I can see these CUTE American Crafts letters working on holiday layouts - or any layout - love the stitching and the super cute font! 5. And last, but certainly not least, this new line by My Minds Eye has such a beautiful color combination and such sweet designs, I know I won't be able to resist! I have several manus on my 'to buy' list this year too! 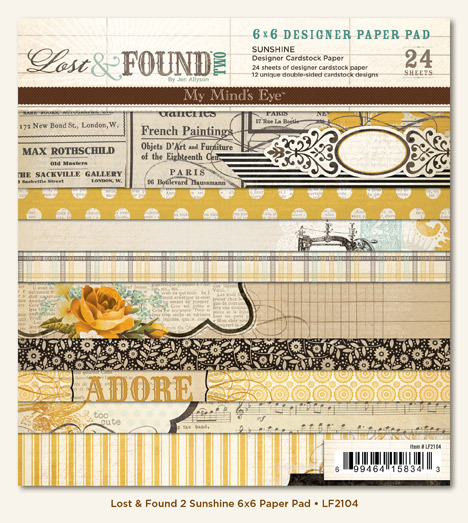 I'm in love with BG Nordic Holiday, All the Crate Paper lines, MME Lost & Found II - Rosy & Blush, and Studio Calico Memoirs. I also need a set of those assorted sized Glubers from Cosmo Cricket. Lovin' what I'm seeing lately!! Fabulous picks! The holidays lines are soooo adorable and I'm in awe for the MME Lost & Found Two...love them! Awesome picks! I am CRAZY about the Amy Tangerine collection!! Those Thickers are AMAZING! !